Entry Guidance / Who can play? 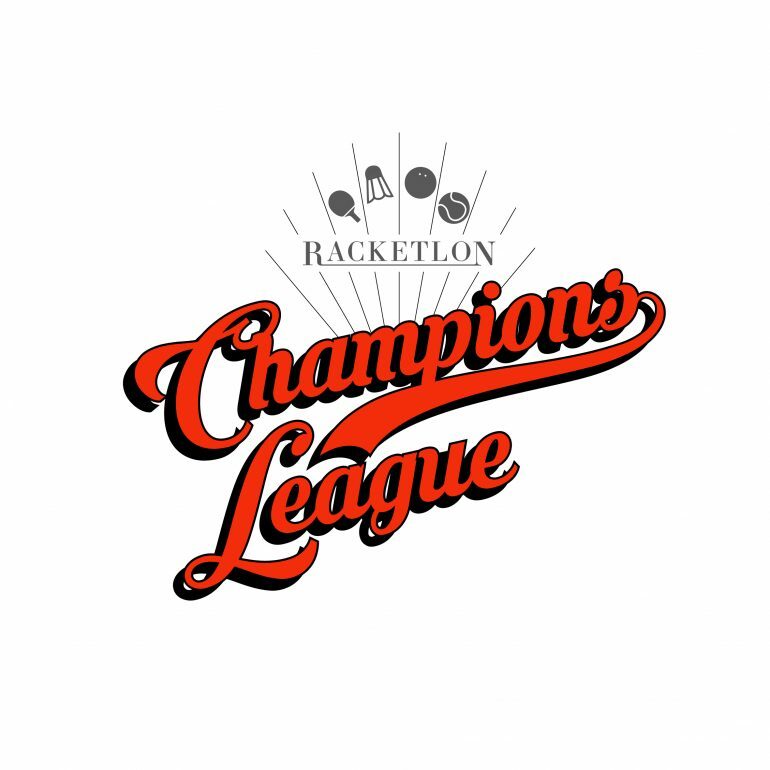 The Champion’s League returns for 2018 and following on with the same format as in 2017, Division 1 will feature 8 teams playing over two legs, the first at the Swedish Open (23 rd February) and the second at the German Open (3 rd August). Each team plays 7 matches, 3 in Sweden and 4 in Germany, playing each side once. In 2017, a full draft was undertaken, with each side selecting 5 players, however for 2018 each team captain could retain two players (plus themselves as captain) from their 2017 side before three picks were made. As a reminder, each squad requires a minimum of 3 men and 1 lady in both Sweden and Germany. While we review the final picks for each team below, anyone who wishes, can re-watch the Live Draft Show, hosted by Dave Ridout, Jack Bishop and Alex Du Noyer from their secret London studio. But without further ado, let’s meet our 2018 teams, starting with defending champions, iPro London. 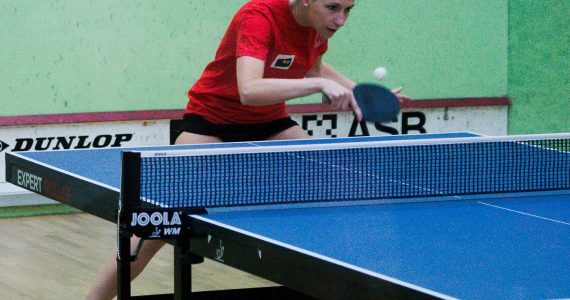 It was no surprise that 2017 champions iPro London retained the services of Natalie Paul, after she topped the MVP (Most Valuable Player) listings for the 2017 event, winning 83% of available singles points and 89% of available doubles points. 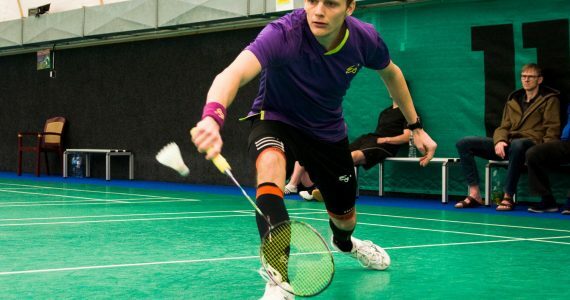 With their second retained player Christian Wiessner also able to play both events, iPro London entered the draft in the luxurious position of needing just a man for Sweden and Germany. Duncan opted for Rene Lindberg who will be available in Sweden, considered by our expert panel to be the strongest man available for only Sweden, while in Germany they will add the talents of Steffen Neumann and Max Plettenberg to the squad. Duncan has used his retained players duel-leg availability to ensure he has cover for the tougher second weekend, an edge on many of the teams. It was to some mild amusement that captain Lieselot left brother Pieter untouched in the 2017 draft, due to him being unavailable in Sweden. Pieter instead ended up at iPro London part of the team that pipped his sister to the title. For 2018, Lieselot dived straight in for her brother as the first draft pick and secured the services of a highly versatile player. With her retained players Jesper Hougaard and Jörg Kanonenberg split between Sweden and Germany, Lieselot opted to draft players who were available for both weekends to secure her team, Markus Borg joining her first pick Pieter in the side. Her final pick, Jussi Nevanlinna means she has bucked the trend of many captains and opted to strengthen her side in Sweden. In 2017, KoR were behind iPro London from the start, so it is fair to assume that in 2018, Lieselot wants options in Sweden to try and get her nose in front from the beginning. As in 2017, Lukas has stuck with an Austrian core to the side, the world number 1 will be joined by compatriots Roland Pichler, Julia Pabisch and the rapidly improving Hans Sherpa in both Sweden and Germany. 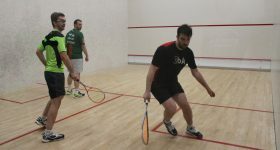 In the build up to hosting the 2017 European Championships, the Austrians trained hard and that showed at the recent Vienna Classics, perhaps driving Lukas’ strategy. 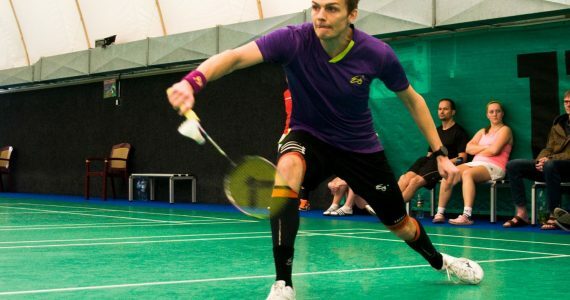 Joining them in Sweden will be Graham Cain whilst in Germany the team will be joined by Thorsten Deck, returning to the sport after a few years away. There was intrigue around which captain would gamble on his form and fitness on the return, and it was Lukas, looking to add a potential big gun to his side for the crucial Germany leg. Lukas will be on the only captain with the luxury of a spare player in both Sweden and Germany, thanks to the availability of his Austrian core at both legs of the Champion’s League. In such a close event, could that be crucial? With a team able to win 3388 points across the Champion’s League, it was gutting for Copenhagen to fall short of the podium by 4 points in 2017, Morten himself just 5 points short of being the MVP. For 2018 the Copenhagen side will be looking to go a step or two better. Copenhagen’s retained players, Loic Cencig and Zuzka Severinova will also be keen to set their 2017 record straight. Into the draft and Morten quickly went in for Dan Bubsy, who will miss Sweden, but will come in for Germany, hoping the Brit can keep his recent good form going and do some damage in the crucial second leg. Morten also swooped in for another Brit, Jo Shelley as his lady for Sweden and completes his line up with Jacob Steinmetz in Sweden. With his picks, there will be minimal flexibility for Morten, availability meaning that his team will be well known in advance for opposing captains. In 2017, President Hougaard went for youth in the shape of Piers Boden and Alistair Prades before leading from the front, himself. No player won more singles points, than Kresten’s 264 (86%) in the 2017 edition. Kresten has retained the services of Hannah Boden, as he sticks to trend of favouring the rising stars of the sport. However, more importantly, the retention of Christian Wall for both events will enable Kresten to rely on a strong core to the side. Stine Krogsoe comes in as his lady for Sweden, although her availability for both events gives Kresten some cover and options. The team will be completed by Jörn Sültrup in Germany and Michael Sorenson in Sweden. Malta were the “best of the rest” in 2017 finishing in fifth, however they were also the only side to defeat champions iPro London. Kresten will be exceptionally keen to go further in 2018, certainly they look in excellent shape for the second leg in Germany. The “Triple B’s” were off the pace in 2017, and one can only imagine in 2018 that captain Amke will be keen for a stronger showing. With Thorsten Lentfer and Cornelius Rademacher retained for both events, Amke darted in for her first draft pick, Elmar Schaub. Elmar, available in Germany, was something of an unknown pick to our expert panel, bar some inside knowledge provided by the ever-verbose Callum Reid: “Yeah, he’s good”. Thanks for that Callum…. With Elmar secured, Amke needed men for Sweden and she pitched for Kristian Jorgensen and Jimmy Tay. Similar to KoR, Amke has more options in Sweden, but with three players in the side for both events, there should be stability for the Triple B’s. A new captain, Anna-Klara Ahlmer, for a new franchise, the Swedish Vikings replacing the Helsinki Hawks for 2018. 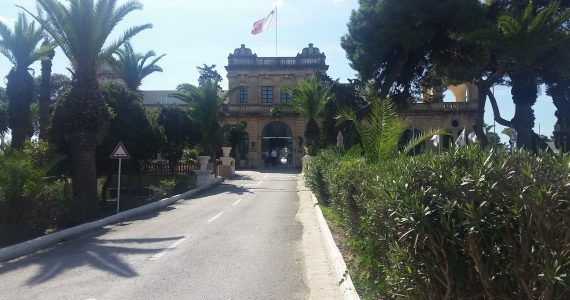 Anna-Klara opted to retain the services of Luka Pentinnen and Malta Thyegod with both gents available for both events she entered the draft with a strong core of players. She quickly plundered the services of Cedric Junillon for Germany, while Jesper Vangkilde and Dianne Baker will complete the team in Sweden. Anna-Klara herself, will be in the captain’s chair for both events, but will not be fully fit in time to lead her team in the home leg. While the Vikings may start at home, you have to feel that their side will be stronger pillaging on foreign soil in the second leg in Germany. There are lots of names and a few idle theories from myself, but for a more detailed assessment of the implications of this draft, we turn to Johnny Bispham. “I make iPro London the strong favourites and fully expect them to retain their title. With Stahl, Paul and Wiessner available for both weekends, they have a strong spine to their team. I don’t expect it to be entirely plain sailing, there are in my eyes two strong challengers to iPro London for the 2018 title, Copenhagen and C&C Racketlonshop Union Austria. The Austrian’s have in their captain, Lukas, the best player in the competition, plus with Hans Sherpa’s improvement over the past 12 months they have a good core for both legs. Perhaps crucial for the Austrian’s is the performance of Thorsten Deck in Germany, if he is the player he was a few years ago, the Austrian’s will be certainly in the hunt. As a team however, only Copenhagen appear to have the firepower to stop iPro London, particularly in Germany with a Jaksland, Busby and Cencig male line up supported by the ever improving Severinova. There you have the teams for Division 1 of the 2018 Champion’s League. With few players available for both legs this season, a number of teams will be reliant on two separate squads and that clearly impacted on the retention and draft choices. The trend seems to be for teams stacking their decks for Germany, only KoR and the Triple B’s have bucked that trend. New for 2018 will be Division 2, with a likely format of 4 teams playing each other twice (once at each leg). 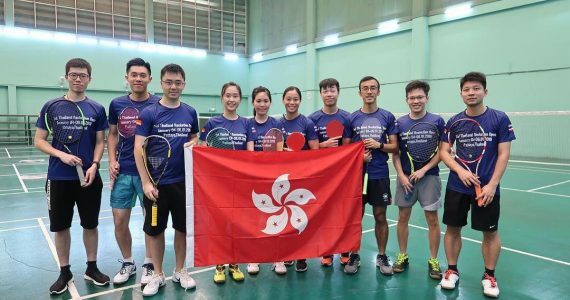 The draft for these teams will occur later this week and Racketlon.net and the Racketlon Facebook page will bring you all you need to know on those teams. 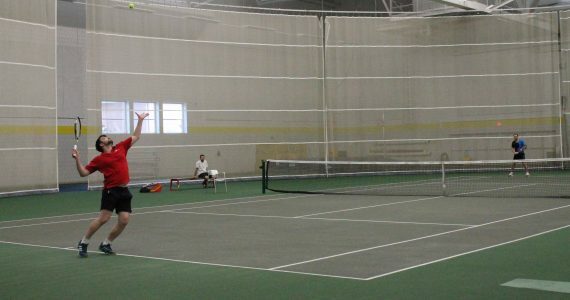 May is “What is Racketlon” Month and We Need You! Racketlon is the combination of the four biggest racket sports in the world: Table Tennis, Badminton, Squash and Tennis. FIR – Federation of International Racketlon is a non-profit organization with its Head Office in Switzerland regulating Racketlon worldwide.